9 Inventions South African Inventions that will surprise you! 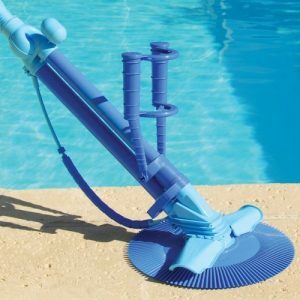 The swimming pool vacuum cleaner was an invention by Ferdinand Chauvier from Springs. Chauvier tried to figure out a way to take the hassle out of pool cleaning. The result was the Kreepy Krauly and the first one was created in 1974. Our dads have been happy ever since. South Africa’s signature variety wine grape, Pinotage, officially came into existence in 1925. Originally a cross between Pinot noir and Cinsaut grapes. CT and CAT scans are incredibly important medical imaging processes that use X-rays to take detailed pictures of the body, aiding doctors enormously in diagnosing and treating patients. This technological invention by Godfrey Hounsfield and Allan McLeod Cormack, came around in the late 1970s. 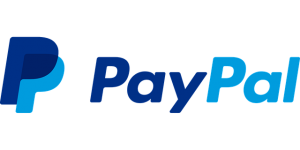 We can thank Pretorian Elon Musk for being the co-founder of PayPal for inventing this genius way of shopping online. Shark Shield was invented in 1995, it’s a portable electronic device that emits an electromagnetic field and is used by scuba divers, spearfishing, ocean kayak fishing and surfers to repel sharks. Originally, called a ‘Blaster’, Charl Fourie designed the flamethrower to provide a defense against carjackings! 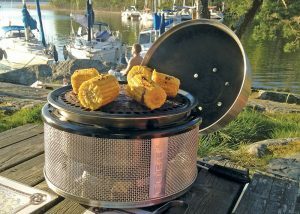 In 2001, Ken Hall based his design on the paraffin stove in many rural areas of South Africa, the grill was featured in the TIME magazines best inventions of the year for 2001. Liked this? Check out our other post 7 celebrities you didn’t realize are South Africans!